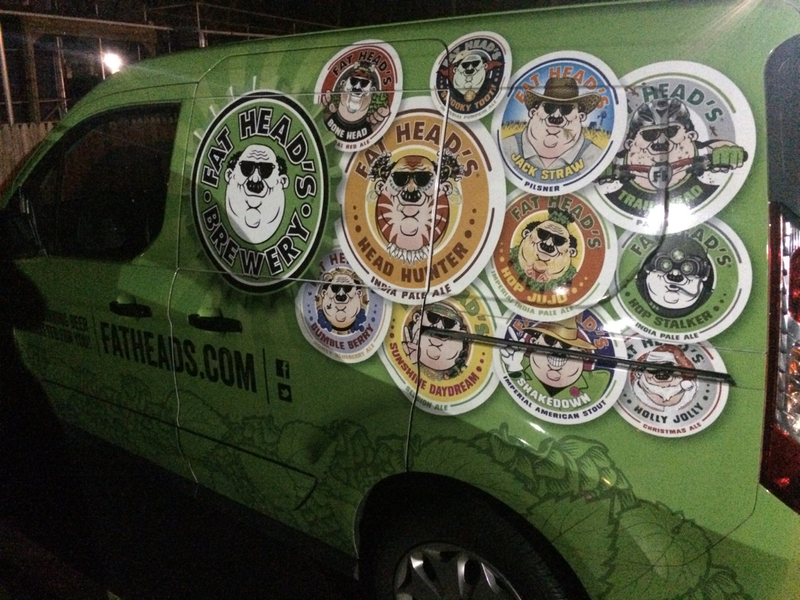 So Fat Head's is coming to Philly, eh? Yes, they've been here and there around Philly for a little bit now, but this week it becomes official. I've been a big fan since I first had the Head Hunter IPA at The Bistro's Double IPA festival in, of all places, Hayward, Calif. back in 2010. No one knew what to make of it at the time. Fat Head's? From Pittsburgh? PA? or the Pittsburg (no "h"), CA city? East Coast? IPA, surely you jest! But, the beer was mighty damn fine tasting and it took first place knocking off all the other northern California usual suspects. Since then, every year when visiting the original pub in Pittsburgh's South Side neighborhood I watch the massive tap list get taken over by more and more Fat Head's beers as their brewery continued to grow in Ohio. Then, they announced a Portland, Oregon brewing location. I thought I recalled news about another location coming soon (North Carolina? ), but I can't immediately put my finger on that tidbit. Also in the intervening years, Fat Head's began to rack up awards at the Great American Beer Festival and World Beer Cup — 16 as a matter of fact in 2011-2015 with five most recently in 2015. Head Hunter leads the way with three. Hop JuJu, Black Knight, AlpenGlow, Bone Head, and Battle Axe have two each. Other than doing my bit to promote this fine brewery here, my next topic for discussion is around individual establishment promotion. I just caught the full list of events over at PhillyMag.com earlier yesterday (it was sourced from Fat Head's website) and it immediately caused me to wonder. I've seen some social media action during the past week about Fat Head's-related events. But, holy crap, 42 events during this week? Surely, I haven't seen that much. Eight are listed on PhillyTapFinder.com and two on BeerMenus.com. So, they count too. What to make of all this? If you've followed me enough around here through the years, you know of my affinity for events and the (good) marketing of beer. I'm a bit more sensitive than ever before now after having organized 51 of my own book-related events. It's one thing to see an establishment not follow-through on helping to socialize my book event that they are hosting, hang the posters, educate the staff, etc. It's another thing when these events that they are conducting are supposed to directly translate to significant bar sales through an event. I could be way off base here. But, if this list of events is an accurate list of events, then why the heck aren't each and every one of them out front promoting? Have they thrown in the towel on advertising events? Are they counting simply on word of mouth? Am I missing other significant marketing channels? E-mail newsletters? How are they getting the word out? Of course, I'm generalizing a bit; but look at the numbers - 43% make no mention of their events on any of the five outlets that I counted. In any case, I'm glad to do my part here both with putting the word out and showing up to support the establishment and the brewery. Great beer; glad to have them here finally on a permanent basis. Now where is that list of events?